Ever since the USS Voyager returned and told tales of Fluidic Space, the Federation has tried and failed to return. All efforts were in vain, until an unexpected turn of events – a Galaxy-class explorer ship suddenly received a short message, informing them they were originally drew into Fluidic Space by an unstable wormhole. Better yet, the ship sending the message has built an outpost and stumbled upon a crystal of unlimited potential power. Armed with the knowledge of how to enter Fluidic Space, the Federation immediately sent a reinforcement fleet filled with supplies, top researchers and trained combat forces to retrieve the ship. However the Klingons intercepted the Federation’s information and sent ships of their own, sneaking into the wormhole entrance as it opened. The Federation and Klingons soon came face-to-face in Fluidic Space, sparking constant conflicts throughout exploration. As a result, war is on the verge of breaking out. 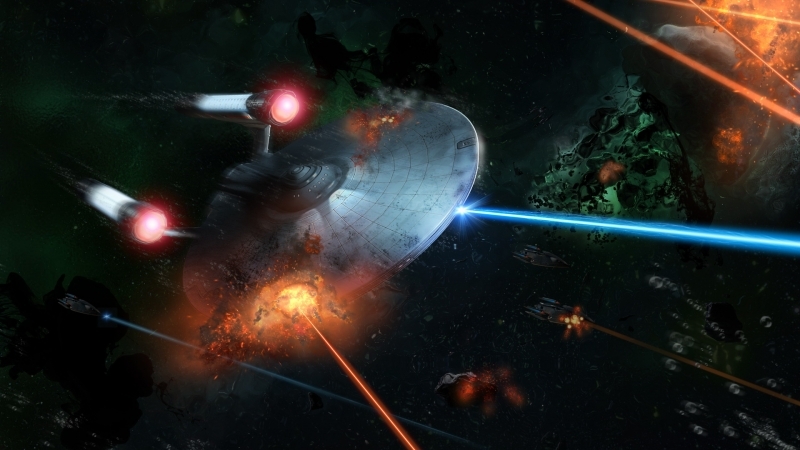 True to Star Trek, players build a variety of starships and create immense fleets to take into battle. Constitution-class, Defiant-class, the Bird of Prey and D7 starships are all available, as well as unprecedented super starships created with the help of brand new technologies. 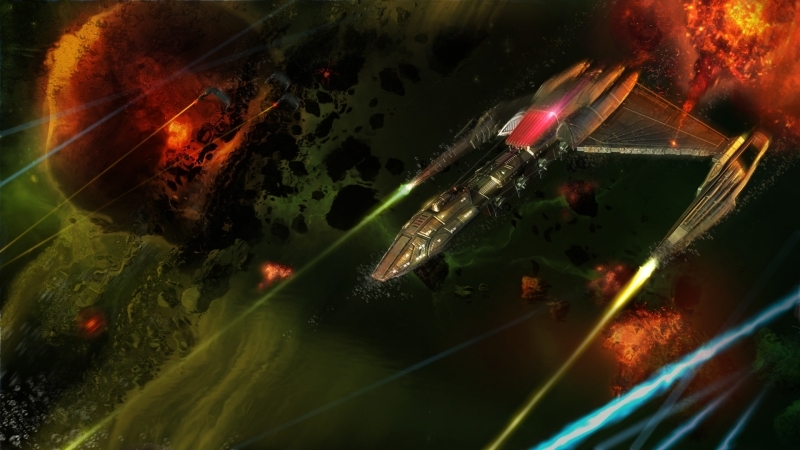 Fleets are essential for exploring deep space, defeating weird and wonderful monsters, attacking enemy planets and intercepting plunder ships. A good starship captain is a must! Who knows what secrets will be discovered while exploring Fluidic Space. Whatever they may be, Species 8472 is determined to ensure nobody ever finds them! Sounds like a sketchy way to get around the Star Trek Online license. I'll pass. Who ever saw the Fluidic space episodes of DS9 and thought "gee I'd really like to play a game there".